Vegans and people who are lactose intolerant appreciate soy milk as a dairy-free substitute in milkshakes, puddings, soups, and creamy sauces. 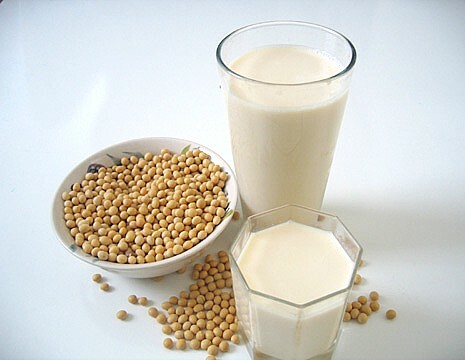 Soy milk contains fiber; it's a good source of protein, low in saturated fat and cholesterol-free. Nowadays, it is very easy to make at home. With 3 cups of soy beans, we can make about 1 gallon of soy milk. Following is one of the simple ways to make a very delicious and nutritious drink for the entire family. Step 1: Soak 3 cups of dried soy beans over night or for at least 8 hours. 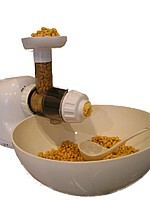 Step 2:Drain and carefully rinse soybeans then pass them through the Omega 8003 juicer. This step takes about 5 minutes. Step 3:Pour 1 gallon of drinking, distilled or spring water into a large stainless steel pot. Add the mashed soy beans into water and stir for few minutes. Step 4:Pass the mashed soy and water through the Omega juicer again to extract soy milk and pour the soy milk into another large pot. Step 5:Pass the soy milk though a cheese cloth the final time before cooking it. It takes about 10-15 minutes from steps 3 to 5. This is an important step. The cooking time is important, as raw soybeans contain a factor known as a tripsin inhibitor. Essentially, this means that the protein contained in the beans cannot be properly assimilated by the body unless the beans are well cooked. Soy milk should be cooked for at least 25 minutes from the first boiling time. Another challenge is the soy milk may stick to the bottom of the pot. A wooden spatula is very handy for stirring the soy milk. a) Put the pot of soy milk on the cooking stove. Use high heat. Stir the soy milk clockwise every 25-30 seconds. Make sure there is no soy milk stuck at the bottom. If it is stuck, use the wooden spatula to remove it. b) When it boils, adjust the heat to medium, keeping it at a boiling level. At this time, you only need to stir the soy milk once in a while. The soy milk may also rise very quickly. If it does, take the pot off the stove for about 30 seconds and put it back afterwards. It may rise about 3-4 times. c) Use a timer to set the time for about 25 minutes then turn off the heat. Soy milk is now ready to drink or for making tofu. 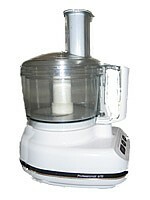 This method uses juicer to grind soy beans but you can also use blender, food processor, grinder or stone grinder. 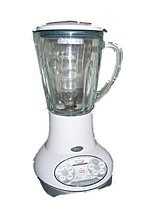 Combine with a cheese cloth will yield the similar result as the above juicer but more labor work. To extract more soy milk, you can also pour one or two cups of warm water into the cheese cloth on step(5) and squeeze it. The yellow soy beans seem to yield more milk than the white ones. In the US, you can buy the organic non-GMO soy beans on-line and have them ship to your door steps. The Laura organic soy beans URL is http://www.tosteds.com/. Although using drinking, distilled or spring water can yield a better soy milk taste, you can also use filter water. 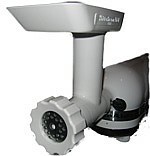 If you are interested in the Omega 8003 Juicer, you can find on-line shop here.